WRIGHTSVILLE BEACH — Last week, the latest piece of a historic ensemble fell — or more appropriately, was delicately placed via heavy machinery — onto a new site in Wrightsville Beach. The Ewing-Bordeaux Cottage, one of the few such remaining island properties, will be a part of the town’s history museum. At 9 a.m. Thursday, Jan. 11, house movers lifted the cottage built in 1924 from its spot at 405 N. Lumina Ave. and transported it through the streets of town to West Salisbury Street, beside the Wrightsville Beach Museum of History, the Visitor’s Center, and the southeast office of the North Carolina Coastal Federation in what’s known as the Historic Square. The Myers Cottage will continue to serve as primarily a house museum, she said. Visitors can get a feel for what beach life was like in the past. The Bordeaux Cottage will have more open space for exhibits, talks and programming. Visitors can expect multimedia features and an immersive experience. In another room, look for a space for hands-on and experiential learning. “In traditional museums, living history means dressing in period clothing and demonstrating heritage arts. 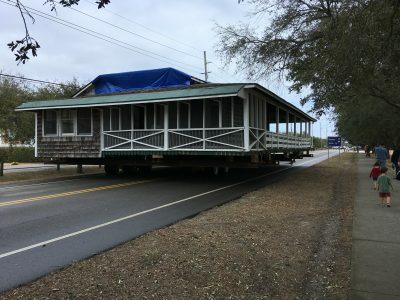 At the Bordeaux Cottage, we will bring living history into the present by having current professionals and artisans demonstrating their skills and knowledge: a boatbuilder fitting planks over the ribs of a boat, a fisherman weaving a shrimp or fish net, or a shaper making a surfboard,” Flagler said. The cottage came to the museum through Debbie and Chris Strickland, who purchased and donated the home, she said. “We had a history with the cottage, so we immediately knew this was one we would like to save. 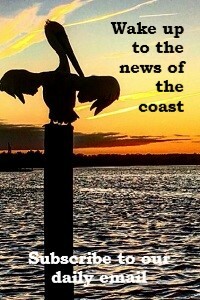 So, we did not actually select it, but circumstances worked out,” Flagler said. Joshua Cole, programs director for the museum, said the Bordeaux cottage is historically significant in several ways. “It’s significant because it survived the fire of ‘34,” he said. The blaze destroyed 125 other buildings, but spared this cottage thanks to a small sand dune and a shift in the wind. The house also made it through decades of hurricanes. And Betty Bordeaux, who passed away in 2010, is another reason the cottage still exists. 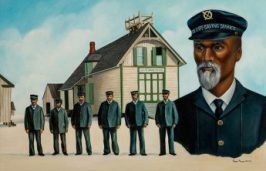 The Wilmington native lived in the home most recently and was an avid proponent of preserving the spirit and structures of Wrightsville Beach, Cole said. “This is a difficult place for preservation,” he said. Wrightsville Beach considers a property to have historic value if it is 50 years old, a much shorter timeframe than downtown Wilmington, for example. 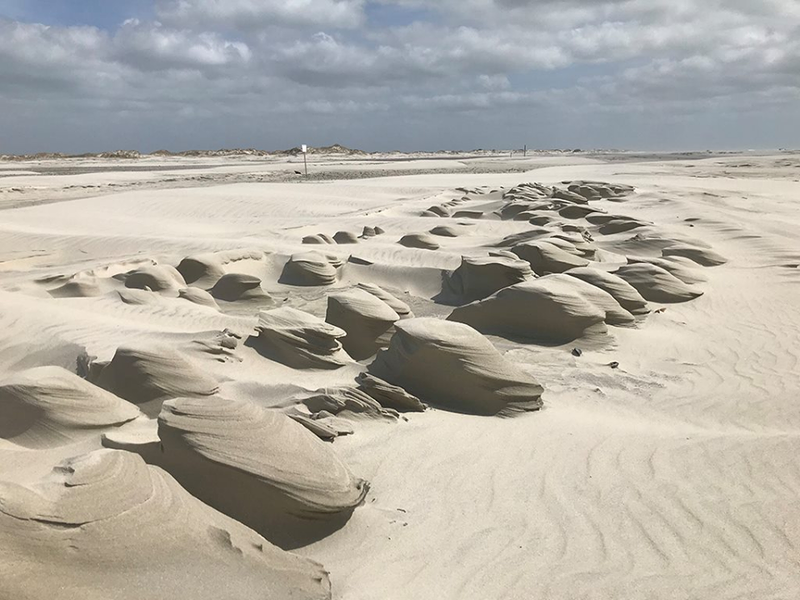 “This is a glorified sand bar,” and, as such, it is subject to a lot of environmental and exterior damage. “We also face huge economic pressures,” Cole said, adding that homes like the Bordeaux Cottage occupy a strange space for preservationists. “They are either priceless or worthless.” They can be priceless to the right person because of their historical connection, or they can be worthless, depending on their location and condition. Museum officials learned that the cottage would be coming to them in late January 2017. In the following months, Flagler said there were meetings and permits required to work out the details of the move. One of the stipulations was the process couldn’t happen during tourist season, she said. The local Lackey Builders company and the Pennsylvania-based Wolfe House & Building Movers worked on the project recently. Right now, the house is perched high in the air, but will be lowered to pilings about 9 feet above ground in the coming weeks, with the help of J.L. Batts Pile Driving & Crane Service in Hampstead. The Bordeaux cottage occupies the last spot in the town’s Historic Square, and in these cottages and homes, visitors can see a progression of building on Wrightsville Beach, Cole said. From the 1909 and the 1924 cottages of the museum, to the 1940s wartime aesthetic of the Visitor’s Center, with a smaller porch and a central kitchen.